‘Beauty is truth’ wrote John Keats. His poetic conceit, whilst charming, is neither totally accurate nor universally applicable. Certainly it does not apply in the case of beautiful nineteen-year-old waiter, Jakob Meier, the dark heart of Alain Claude Sulzer’s compelling novel A Perfect Waiter. Like Wilde’s Dorian Gray, Jakob’s beauty masks an ugly deceit and those who succumb to his seductive charms are as doomed as Gray’s hapless admirers. The novel travels back and forth in time between the mid-1930s and mid-1960s, and in place between Switzerland and the United States, following the life of Erneste, the eponymous perfect waiter (known to all as ‘Monsieur Erneste’). An impeccably discreet and entirely self-effacing member of the waiting staff at the Restaurant am Berg in the Swiss lake resort of Giessbach, Erneste sees his calm and uneventful life turned upside down by the arrival of a young trainee-waiter from Germany. He takes Jakob under his professional wing, only to fall hopelessly, obsessively, and disastrously in love with him. The truth about Jakob that most shocks, when it eventually emerges, is not his immorality but his amorality. And whilst it might be tempting to forgive and perhaps even envy his free spirit – taking his pleasures as he does wherever and with whomever he chooses – his attraction is as fatal as a flame is to a moth. 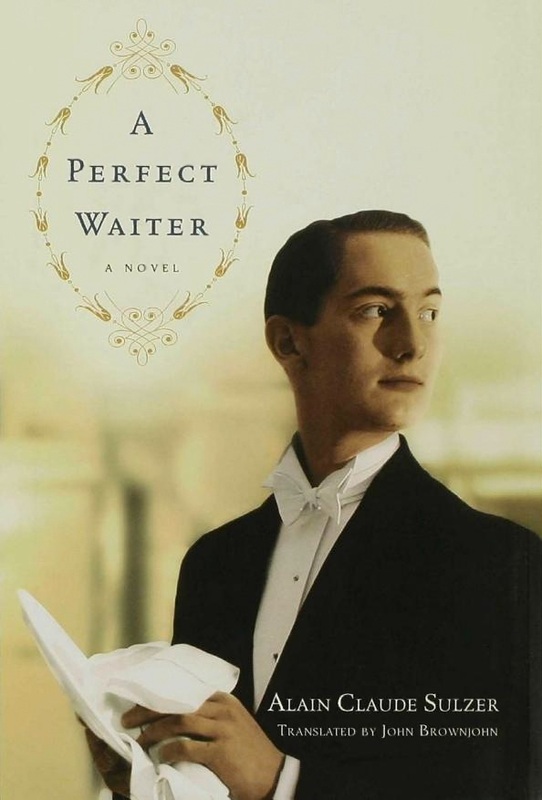 As with most novels set in the immediate pre-WWII era, A Perfect Waiter is imbued with a sense of dark foreboding. But it also takes in the Swinging Sixties, which are cataclysmic in their own particular way. The book manages to evoke the zeitgeist of two eras which, in their different fashions, experienced social upheaval in which hope turned to despair and optimism to cynicism. This is mirrored in its characters’ ambivalence, alienation and detachment, which Sulzer forensically observes and lays bare. In contrast, the United States appears as a beacon of safety, stability and energy. But, for dissident writer and intellectual, Julius Klinger, fleeing there from Nazi Germany via Giessbach, this proves to be entirely illusory. There is a fatalistic sense of the Old World infecting the New. In taking the beautiful but utterly self-centred, self-seeking Jakob with him to act as his ‘secretary’, Klinger sows the seeds of his own destruction. With his act of hubris – which incidentally leaves the adoring Erneste bereft and emotionally stunted for thirty years – Klinger brings down Nemesis upon himself and his family in the most appalling manner imaginable. It is tempting to think that this could only be a European novel, and a Central-European one at that. Certainly Switzerland is portrayed as a country sought out by refugees not as a place of safety, merely of transit. The refuge on offer is temporary, insecure, grudging and conditional. Cherished Swiss neutrality is maintained only by delicate negotiation and accommodation with an overbearing neighbour. Outright opposition to the emergent Nazi regime is simply not an option for the Swiss. This creates a disconcerting sense of a compromised society built on shifting sands whose values are purely pragmatic and self-serving. Morally, politically and in their personal relationships, its denizens are shown to be fiddling while Rome burns. Along with the uncertainty of the times, this may also be down to the vagaries of continental European political geography. Can it be coincidental that the author lives in Alsace, a region which has changed hands so many times in its history? That A Perfect Waiter reads so well is a tribute not only to its author but to its translator. It is a testimony to John Brownjohn’s skill and sensitivity that he has produced something that does not read like a translation. It is a truly remarkable literary achievement. to Erneste, everything about him seemed utterly superlative. Polari HQ • What Did We See in 2012?